Starting today, Michael and I are publishing a three-post series on personalized learning at EdSurge. Depending on how that goes, we could end up providing a regular column there. 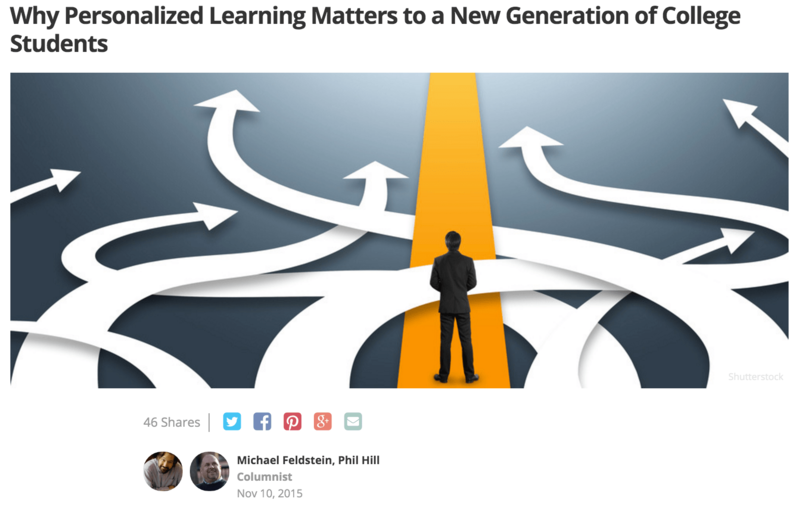 The first post today is titled "Why Personalized Learning Matters to a New Generation of College Students". We're excited to be working with EdSurge, helping them expand their coverage of higher education and helping us to share analysis and e-Literate TV content with a broader audience.